Refreshing, drinkable and fun compositions await us in summer editions of the house inspired by star fish and seahorses illustrated on the glass of the characteristic bottles of the collection and on the outer cartons. Summer editions by Issey Miyake provide abundance of joy described with juicy fruit, optimistic herbal notes, aquatic notes and precious wood. 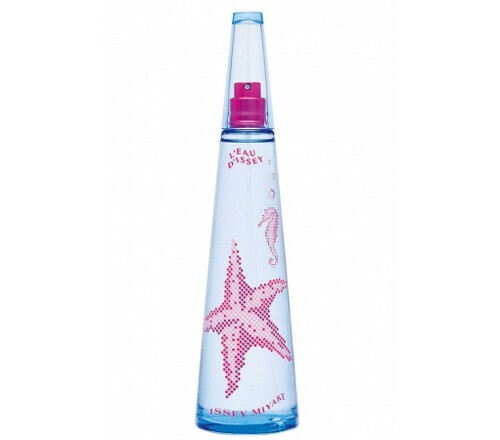 Version for women L`Eau d`Issey Summer 2014 offers a drinkable and refreshing fruit cocktail composed of sparkling grapefruit, passion fruit, guava and litchi, with a hint of floral bouquet, aquatic notes and precious wood. Warm and soft vanilla is in charge of sensual touch. It is recommended for casual wear.